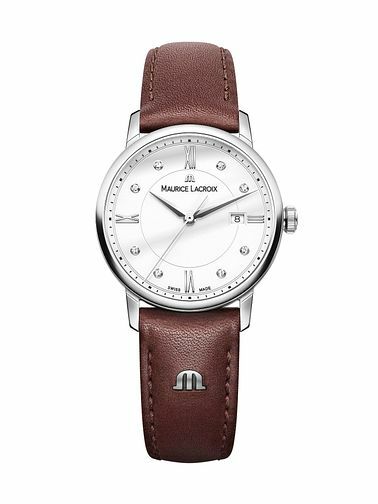 Sleek and sophisticated, this ladies' watch from the Eliros collection boasts the signature elegance of Maurice Lacroix. Crafted in stainless steel with a stylish brown leather strap, the dial is simply finished with classic roman numerals and diamond hour markets. Powered by precision, Swiss quartz movement.